Some people complain that when they go see Dylan, he doesn’t put on a show. I had heard that he has gotten old, that he should have stopped touring because his voice is gone and that going was a waste of money. I went into the show with somewhat low expectations but I had no reason to. 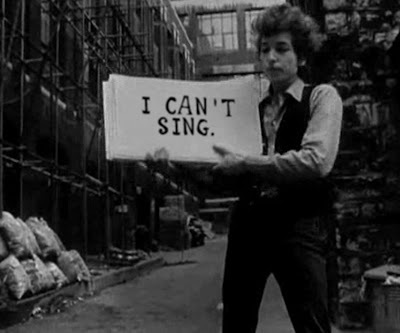 Some people complain that when they go see Dylan, he doesn’t put on a show… When you are Bob Dylan, you don’t need to. Dylan is amazing. Full stop. He doesn’t need lots of lights and costumes and theatrics because he has the music. His voice is rock solid. He gave a perfect performance tonight. I was blown away that a man who turned 69 last week can still bring it the way he did. His songs are genius not only because of the melodies and brilliant lyrics but because they speak to something inside of you. They take you back to the first time you heard them and the thousands of times you heard them after. They tell stories that send chills through your bones and they make you believe that music is absolutely the best thing in the world. Since there were no cameras or recording devices allowed in the venue, here is my only picture with Dylan. I still have a bit of afterglow! Overall, I give the show an A++++++ but if onlllyyy he had played the times they are a-changing… i probably couldn’t have handled it! If someone said to me: “Here is a cage full of mosquitos that are probably carrying yellow fever. Stand in here or go to Lamu.” I would walk into the cage full of mosquitos. Ok, fine. It wasn’t that bad but it was a huge let down from everything I had heard it would be. The place has no cars so donkeys are used all over the island. Sound great, doesn’t it? The only problem is that the town has a bunch of donkeys but no one to clean all the donkey crap. So, when you walk around you literally feel like you are swimming in donkey poo. But just in case I didn’t really feel like I was swimming in donkey poo, it rained and poured for almost the entire time we were there. So, donkey poo was literally running by in rivers. My feet will never recover from those three days. So, the place was really stinky. There was not much to do. The food was sub par. But before somebody calls the waaahmbulance, I’ll talk about some of the good stuff there too. A few magical things actually did happen during our few days there. The first day we arrived, we walked around the town which actually does have some charm to it. There are lots of winding little alleys and the narrow roads give the place a very intimate feel. There were indeed women who floated by in full burqas and the little children everywhere were ridiculously cute. (Unfortunately, there is a three month residency requirement or I might have tried to adopt right then and there.) That night we hung out late at one of the cafes along the water. We were trying to wait out the rain but finally realized that we would have to head back to our hotel or we would be stuck there all night. When we first left, the rain was coming down pretty hard but not so hard that it would knock you over and soak you so thoroughly that water would end up in places you didn’t even know existed. Just a few minutes into our walk, the rain came down in watermelon size drops. I have not laughed and screamed so much for long as I can remember. Before we knew it the small alleys were overflowing with water. We rolled up our pants but it didn’t matter, the rain had soaked us. Holding an umbrella was useless but we clung on anyways. Finally we ran under a small awning where a man was making kebabs. A small group of Kenyans were huddled underneath and they seemed to know that the rain wasn’t going to let up, but they waited in the shelter anyway. It was one of those moments that I should have written about right away because it is already running away from me. All I remember is laughing and laughing. The night was so dark and through the lights of the street lamps, we could make out the sheets of water as they came down. So, for every bad thing about Lamu, it was more than worth it for that. This was a rain like the rains I remember from being a young girl in Pakistan. I remember looking to my mom to see if it would be ok to run outside and before she had finished nodding her head, I would be out in our courtyard screaming so hard I could hardly breathe- choking on the rain because I was staring up at the sky laughing. I would feel like I was part of the earth and the rain and the mud and me were all one and the same thing. I have searched for that feeling ever since and in this poo filled island, I found that magic again. Next up, Diani beach. Featuring camel rides on the beach, finding treasures in deserted stores along the ocean, and even an appearance by some troublesome baboons! Click here for a few photos from Lamu. It seems that the only flights that go to Nairobi arrive in the middle of the night and that was the case for us. After a pretty uneventful flight we arrived at 3:30 in the morning. Rebecca had arranged for a driver to pick us up at the airport and Munini was there with his Nadiya and Sumeera sign right as we exited the baggage claim. At one point, when he took a shortcut on some random side road we were very relieved that the driver was someone Rebeccah knew because if it had been anyone else, we would have been peeing our pants from being convinced that we were being kidnapped. We arrived to the Slum Gardens (the UN intern housing used to be slums but now it is quite nice!) to poor Rebecca who had to be up in the middle of the night for our arrival. In case I don’t mention it a hundred times in my discussion of this trip, Rebecca is the best friend ever. She told us everything we needed to know about being in Nairobi and brought us breakfast food for the morning and finally headed to bed after six even though she had work the next morning! What an all-star. The next morning, the first thing we did was get a SIM for the phone so we would have a way to stay in touch with Rebecca. We had planned to meet her for lunch and headed over to the UN offices. We were in awe of how beautiful Naiorbi was. There were flowers I hadn’t seen in any of the botanical gardens I had been to in the world. And after being in Cairo and Istanbul, Nadiya and I were blown away by all the green. We were in heaven! The UN cafeteria is ridiculous. Ridiculously good. The offices are done so well and integrate all the greenery outside into the buildings. Nadiya and I spent a minute or two fantasizing about working at the UN in Nairobi. After lunch we went around and met some of Rebecca’s co-workers and finally headed out. Our next stop was to a Masaai Market which was amaazzing. We spent a good three hours or shopping and were able to get some amazing things. When we first walked in, we had to do our best not to drool so we wouldn’t get totally ripped off on everything we planned to buy. Becs had told us that everything should cost around 2-300 shillings and that was a good guide. I think we got some good deals because we were so ruthless about sticking within that range for the smaller things. Exhausted, we headed back to Rebeccas where she was having a barbeque with 20 or so friend which led to a nice evening tour outside chatting with lots of interesting people and eating barbecued pineapple. It was there that we heard many, many amazing things about Lamu. One guy said that once we got there, we would never, ever leave. Others said it was like paradise on Earth. The next morning at 8 am we would fly out to Lamu to see what all the hype was about. Would we love it? Would we hate it? Would we meet a man who had a lamb that followed him everywhere?? Stay tuned. oh yeah, this is a travel blog. This Monday I returned from a ten day trip to Egypt and Kenya. 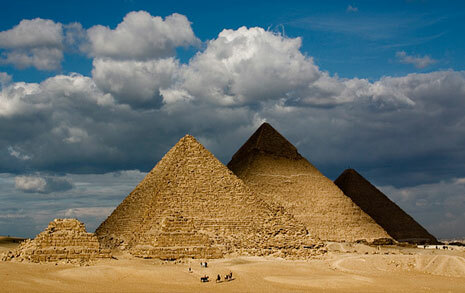 I spent eight day in Kenya and two days in Egypt. Although I had been to Egypt for a few weeks before I considered my visit to Kenya as my first real time experiencing African culture and life. 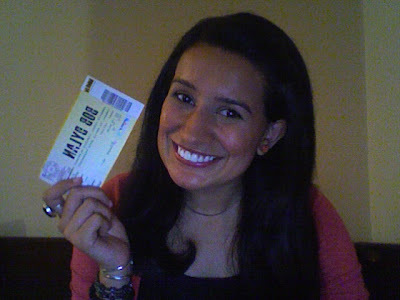 The idea to go to Kenya came up a month or so ago in a discussion with my good friend Nadiya. We had both been independently toying with the idea of going but hadn’t given it serious consideration. Once we found our that we both wanted to go, the plan was on. We started figuring out dates and places we wanted to visit. Our initial idea had been to spend about 17 days going through Kenya, Tanzania and Zanzibar. But both of us realized that wouldn’t be do-able with our work schedules and for a moment we thought we would have to call the whole trip off. After I came back from London, I was talking to my friend Rebecca from law school and found out that she was actually working at the UN in Nairobi. And just like that, our plan was back on! Nadiya and I booked our tickets to go to Kenya the following week! I love to be spontaneous and do things last minute but if you are planning a trip to Africa, you may want to plan just a little more in advance! For one, we realized that we would need to get a yellow fever vaccine, which took 8 days to be effective. Oops. We also needed to get some other shots and get a hold of malaria pills, bug sprays, etc. Luckily for us, Rebecca was a great help and saved us a lot of time researching what to do in Kenya and what things to be prepared for. Safety is a huge issue in Kenya and if it hadn’t been for Rebecca’s many reminders about hijackings and kidnappings in the country, we may not have been as cautious as we were. So on Wednesday May 6th I boarded the plane for Cairo. Nadiya and I thought it would be fun to travel together so I met her in Cairo so we could take the flight to Nairobi together. I arrived in Cairo in the middle of the night and Nadiya was there waiting at the airport. I wanted to jump up and down, I was so excited to see her after so long! We took the taxi to her place and stayed up talking until six or seven am. Poor Nadiya had to go into work and I proceeded to sleep until noon. When I woke up I was very hungry and realized that I knew nothing about the neighborhood I was in! Nadiya lives in what is like the suburbs of Cairo and I had no idea where to go for food! I looked around for a phone to call Nadiya at work but there was none. Oh well, I thought. How hard can it be to walk outside and get some food? After four hours in the sweltering Cairo sun, and two hours of wandering around lost (I am pretty sure I could get lost in an empty box.) I finally found my way back to Nadiya’s apartment. I had a pida and 1 litre of Diet Coke to show for my efforts. I promptly fell asleep after my adventure and woke up periodically to take a swig of coke and eat some bread. Nadiya came home soon after and we laughed about the day. She had been trying to call all day but someone had unplugged her land line! We ordered in some food and started her packing for our big adventure. Tomorrow I’ll continue with stories about our first day in Kenya! How do you walk into an office after a colleague has died? With trembling legs, with a certain numbness, with eyes watering. You go up the elevator on which you so many times saw him, where you talked about your weekends, about the work load or about his latest haircut. And the thing you didn’t want to believe, you must face. This past week we lost our leader, our guide and our friend. The Director of our office was killed in a car accident on his way back from a client meeting. The news of his death has rocked our office, reminding us how delicate life is, how even such a great man can so easily be taken from the world. He was Shahbaz that would make his way around the office stopping at each last cubicle to see how everyone was doing, to wish them a happy holiday or to simply say hello. He was Shahbaz who laughed because in all his years of working in Istanbul, I was the first person to ask him to lunch. He was Shahbaz who was the most senior person in our office and region, who was a Director of IFC but who I just a month ago saw standing outside the public bus stop to take the Havas to the airport. He didn’t see the sense in wasting work resources on a taxi and took the cheap public option instead- in his full suit, of course. He was Shahbaz who had a soft voice and a very gentle manner with which in his special way he managed to command the respect of the highest government officials and industry leaders all over the world. He was a man who committed his life to helping the developing world and was loved by so many in the international community, but especially by us in the Istanbul office. In his life he taught me the characteristics of a great leader and human being and in his death he teaches me of the miracle of life. He is dearly missed.